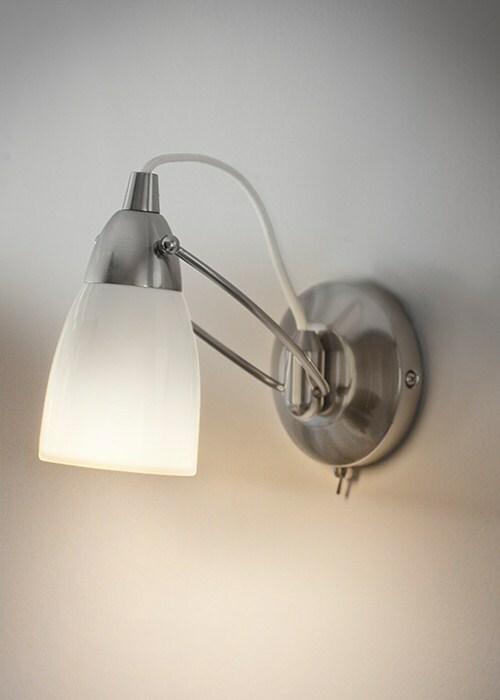 Our Shoreditch Wall Light is at the forefront of contemporary design. Its sophisticated shaping and subtle modern features ensures it a well-deserved place on any unlit wall. With versatility and ease being equally matched by its uncompromised style, this wall light with switch provides the right amount of ambient multidirectional light. With its strong, adaptable features, its seamlessly takes center stage on any wall, lighting the way in a perfectly formed row, or found uninterrupted, singly lighting up a hidden alcove, living room or favourite corner. Carefully crafted in white porcelain, its slender shade and metallic fixings ensures its modern appearance creates perfectly concentrated lighting, with the added advantage of not taking up valuable space.